The great news is that there's a corollary to that fact: If people are willing to give you money for your time, you can spend money to buy your time back. That's what we call retirement. It's my opinion that everyone should pursue the opportunity to retire as early as possible. Having the financial security to choose what you do with your time is one of the greatest gifts you can give to yourself, your loved ones, and the causes you're passionate about. One of the most common regrets of the dying is that they worked so hard and for so long, according to nurse Bronnie Ware. "They missed their children's youth and their partner's companionship," she wrote. You can always find a way to earn back money you spend or lose, but you can't go back in time and experience the moments you missed. Retiring early means you'll have more opportunities to be with your family. Further, it's a fact of life that some things become more difficult as we age. When you're in your 60s or 70s, you may not be able to do all the things you put on your bucket list in your 20s and 30s -- and you may not have enough time left to do them regardless. My advice is to retire as early as you can. But how do you know when you can retire? Nearly half of workers aged 50 and older say their biggest fear is running out of money in retirement. These people are not confident in their retirement plans -- or they don't have plans at all. Figure out how much you'll spend in retirement. Save and invest in appropriate assets until the math works. And don't forget you can tap Social Security at age 62 if you need to. 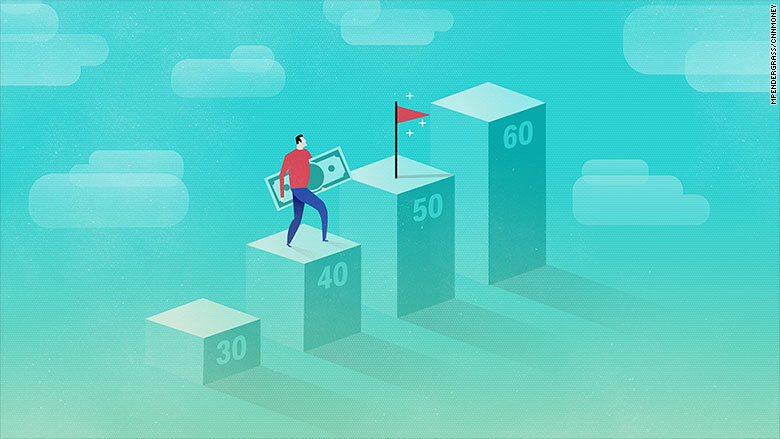 While you'll receive a reduced monthly benefit (up to 30% lower than your full benefit), it can help shore up your retirement funds if you feel the need. Just don't count on Social Security to fully fund your retirement. Warren Buffett had a net worth of $1 million by the time he was 30 -- likely more than enough for him to retire to his modest home in Omaha. Of course, Buffett chose not to retire because he loved his work. "For over 60 years, I've been able to tap dance to work, doing what I love doing," Buffett says in the HBO documentary Becoming Warren Buffett. For reference, Buffett is now 87, still working, and closing in on a net worth of $100 billion, even after giving billions away to non-profits. Not everyone is lucky enough to have their passions and their career align so perfectly. But early retirement offers the opportunity to pursue endeavors you love. Whether they're profitable or not is no longer the point once you have the financial security to support your lifestyle. You can get around to writing that book you didn't have time for when you were working 40 hours a week. You can start brewing beer in your basement and open a nice little speakeasy for your friends to enjoy a lager or a cocktail with you (tips only!). You can fix up run-down houses and rent them out or sell them for a profit. Or you can volunteer your time to help causes you'd otherwise support with monetary donations. Not only does working on things you love provide the potential for monetary rewards, but it could help you live longer. There's no rule, however, that "work" has to be a traditional job. Early retirement is a possibility for most everyone. Whether "early" for you means 63 or 40, the point is to make more time for yourself and your loved ones while you can. We worry about wasting time every day on the job, but working longer than necessary before retiring could be one of the biggest wastes of time in your life.